TAMPA, Fla. -- Looking at John Strasser now, you wouldn’t know he flunked out of college the first time around. With sheer determination, Strasser has turned his life around and will receive his bachelor’s degree in religious studies on Aug. 4 from the University of South Florida. A few weeks later, Strasser will be at Columbia University to begin his master’s degree in South Asian studies. It’s been a long road for Strasser--from college dropout to being accepted into the Ivy League for graduate school. Initially admitted to USF in 1997, Strasser soon became swept up with non-academic activities and dropped out of college. He eventually became destitute and was living in homeless shelters, he said. “Originally I left USF because I was never there; I partied constantly, skipped class, received almost all F’s, and began to embark on a life of selfishness and destructiveness that would negatively affect me for 10 years,” said Strasser, who is a recovering alcoholic. His academic career with USF truly began a few years ago when USF gave Strasser a second chance and re-admitted him to the university in the 2009 spring semester. It was then his journey of discovering his true potential was activated. He made a remarkable recovery from homelessness and a damaged 0.62 USF GPA to a distinguished academic. Strasser has maintained a 4.0 GPA for more than 100 credit hours. Strasser was awarded several scholarships and recently received the Golden Bull Award. “Now is the right time to change your life, to finish what you started, and to accomplish what you have always regretted not accomplishing,” Strasser said. Strasser demonstrates that challenges always will be present, but the strength and endurance needed to overcome them comes from never giving up. Strasser was eager to take advantage of every learning opportunity and showed great initiative. He spent the 2012 spring semester and the first part of summer in India and all around Southeast Asia doing independent research while taking USF classes online (You can read his blog). 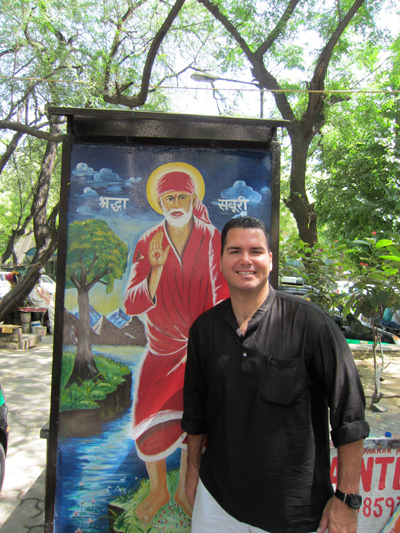 While abroad he worked on not one, but two research projects: the impact of Hinduism, Buddhism and Islam on the treatment and definition of women in New Delhi and a second project analyzing Tibetan Buddhism, Catholicism, Sikhism and the Baha’i faith as practiced by locals. Strasser said he has been inspired to help others, both in his community and around the globe. Strasser said while dealing with alcoholism, he never thought he could ever come back to USF because of the damage he had done to his transcripts. He said he is grateful to the College of Arts and Sciences for giving him a second chance and motivating him to achieve academic excellence. “All of the successes, the opportunities and the wonderful future that I have now, are in many ways the result of USF first giving me a second chance on campus, thus, in life,” Strasser said in an email.